I made this Ellen Degeneres costume for My husband and my 10th annual Halloween party. Our parties are so much fun because our friends do an amazing job with costumes. We pick a different theme every year- Vegas, SNL, Atlanta (where we live), Sci-fi/B-movies, etc. 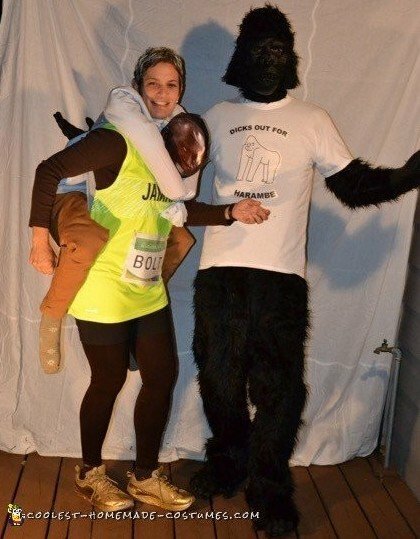 This year our theme was Politically Incorrect- seemed appropriate with all the election nonsense constantly in our faces these days. 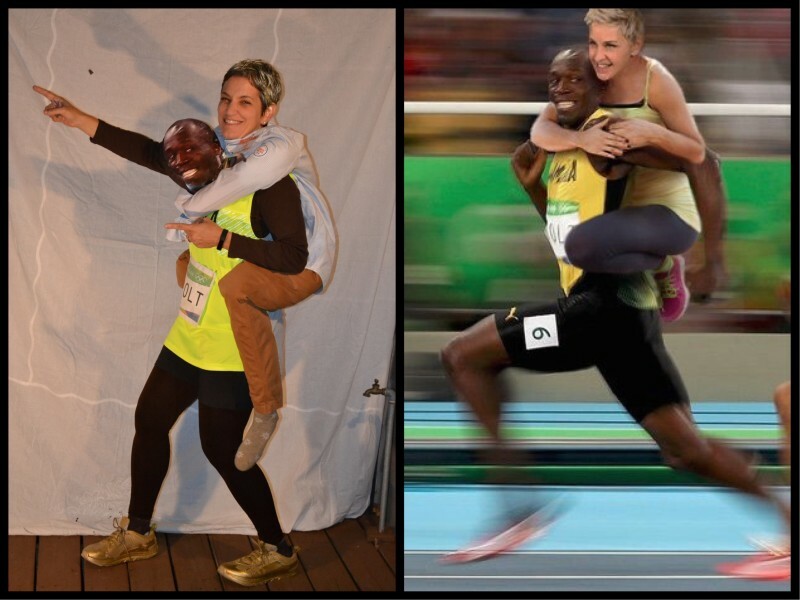 My costume was from the 2016 Summer Olympics when Ellen tweeted out a photoshopped picture of herself getting a piggy back ride on Usain Bolt. Her tweet said something like “this is how I’m going to run my errands from now on”. She simply meant it to be funny because he’s really fast and all, but the people who police these things declared the image to be OFFENSIVE. I guess because he is black and she is white and she was on his back… seems like a stretch to me. She even said later that they are friends but I guess that still does not make it okay to the PC police. Anyway, I thought that made this the perfect costume for our party. 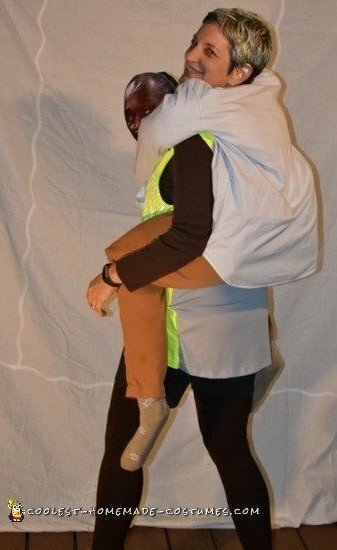 I studied as many of these piggy-back kind of costumes as I could find. Building Ellen was the tricky part but I did it mostly with stuffing and some pool noodles and a lot of safety pins. The other tricky part was Usain Bolt’s head. I used color print outs of his face from the actual picture and glued them to a form I built with some paper plates and plaster and paint. I would probably do this a little differently if I tried it again. My DIY costume came out AWESOME and the whole night people kept saying I was freaking them out! Ha!